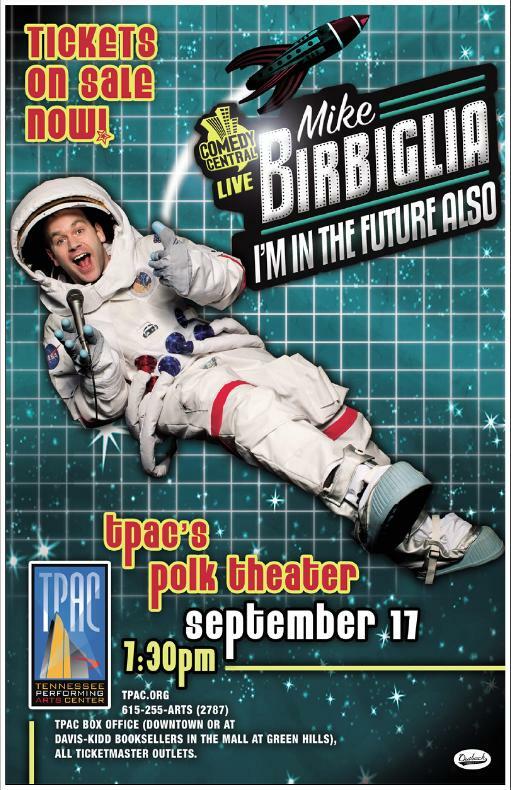 Another one of my favorite comics, Mike Birbiglia, has earned a substantial audience in the past couple of years. While I didn't design this ad creative (it was provided by an agency), I'm including it as an example of how I try to integrate the local information (font selection, venue logo, etc) in a way that is consistent with the overall look of the source material, and makes the most congruent usage of available space as determined by the ad elements. Or more succinctly put, I try to make it look purdy.